The County wants to use the network to provide continuity and expansion of its essential telecommunications services. Additionally, according the the County's Spring 2010 Telecommunications Overview (check out the PDF - there are some informative maps here), the County and the School District want to reduce the uncertainty of continued dependence on Comcast. Three projects, all happening within a relatively short period of time, came together to solidify the planning and enthusiasm for ConnectArlington. "Emergency vehicle preemption technology is critical to saving lives by giving responders safe, speedy passage through intersections and cutting precious minutes off the time it takes to get patients to life-saving care at a hospital,” said Chief James Schwartz of the Arlington County Fire Department. EVP gives emergency vehicles the right-of-way at signaled intersections with an automatic green light. The emergency responder is able to safely navigate the intersection, while drivers and pedestrians are clearly directed to cede the right-of-way via the traffic signals. When fiber goes through the county's approximately 168 traffic signals, these signals will become routers on the network. That will allow police and fire personnel who set up command villages for an event to connect to the network through traffic signals. They'll be able to access broadband and wireless for video, audio and data connectivity during events including the Marine Corp Marathon and ceremonies at the Pentagon. 3) Lastly, local electric provider Dominion Power will be upgrading its power grid. The County will co-locate dark fiber with Dominion's fiber, saving even more on installation. ConnectArlington will be a series of fiber optic rings that overlap in strategic circles to provide paths that avoid any single failure points. 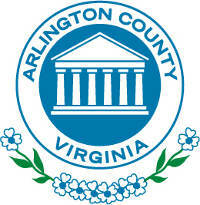 Arlington's present system is a patchwork of County-owned facilities, lines leased from commercial providers, and Comcast's fiber-optic network, is a "star" or "spoke and hub" topology. With the new lay out, any failure will be remedied with data traffic reroute, providing redundancy. "It's going to take time to realize the cost benefit out of this," said Belcher, who also directs the county's Department of Technology Services. "You're going to have to invest a lot of money that could go elsewhere. But you're putting it here because you see a value to be achieved, and that's significant."